The office of the Special Counsel send with the written report it’s conclusions on it’s actions up to now…. Some of its investigations are still on going…. Those maybe carried on by lawyers in a striped down office…. Maybe set to other US Attorney’s across the country …. It is unknown what the final conclusions are…. But House Democrats and some Republican have argued that the full results be made public…. The Justice Dept. regulations and past policies do NOT require or even advise the DOJ to do so…. Mueller and his group are reported to have more indictments and will have several other trials to oversee…. The report will be legalize…. The results will move to the political stage in the media as the Trump admin and lawyers seek to blunt the effects of the probes…. But this is just a start…. House Democrats and US Senate Republicans are both looking in almost ALL things Trump…. They have the US Attorney for the Southern District of New York , Virginia and Washington D.C…..
We now wait to see what comes out to the public…. And what the fallout will be…. Trump never came in to answer questions before a Grand Jury and Justice Department rules are that a sitting President cannot be charged with a crime while in office, even though there is NOT actual law against it…..
After a week of growing expectation that Mueller’s long-awaited report would soon arrive, a security officer from Mueller’s office delivered it Friday afternoon to Rosenstein’s office at Justice Department headquarters, according to spokeswoman Kerri Kupec. Within minutes of that delivery, the report was transmitted upstairs to Barr…. CNN Updates on this story….. While there are reports that there are NO more indictments coming from Mueller? Where did the continual reports that more than 10 sealed ones are outstanding come from? 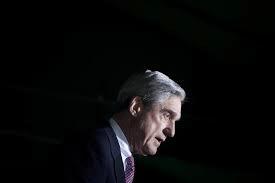 AG Barr won’t give Congresa a summary of the Mueller report today…. A legal guy on MSNBC has just said there ARE sealed indictments on file in Wash DC from Mueller people….